Checking into Oscar Scherer State Park we found there were no sites available. It seems there is a big art show in Sarasota so everything is booked. We called our boating & RV friends Doc & Eileen in Bradenton and they said to come on over. Our timing was good as they are heading to Europe in a week or so. Since we were already in the park it seemed like a good idea to take a hike through the woods (see photos). We walked one mile walk through the scrubby flatwoods. 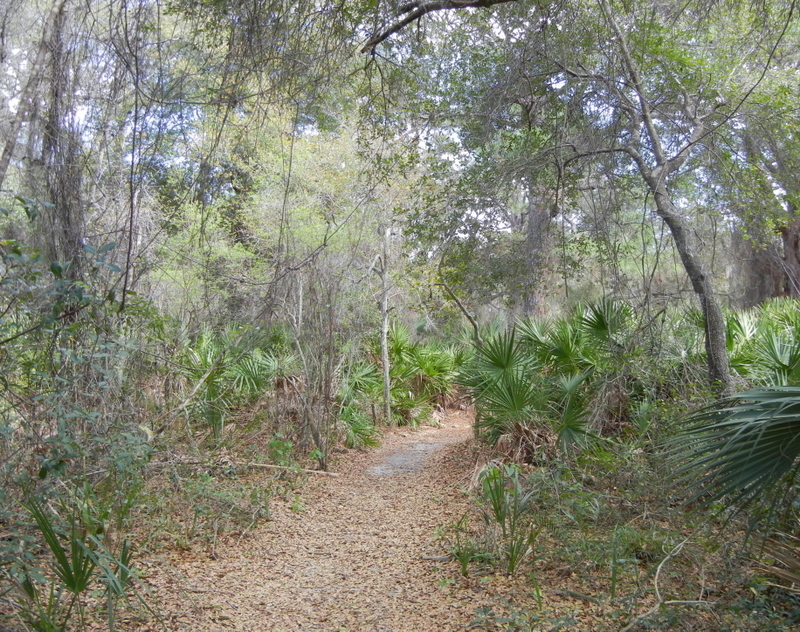 These woods are the home of the imperiled Florida scrub jay, a species found only in Florida. The flatwoods were beautiful, but we didn't hear or see any jays. Oscar Scherer was the inventor of a process for dying leather in 1872. 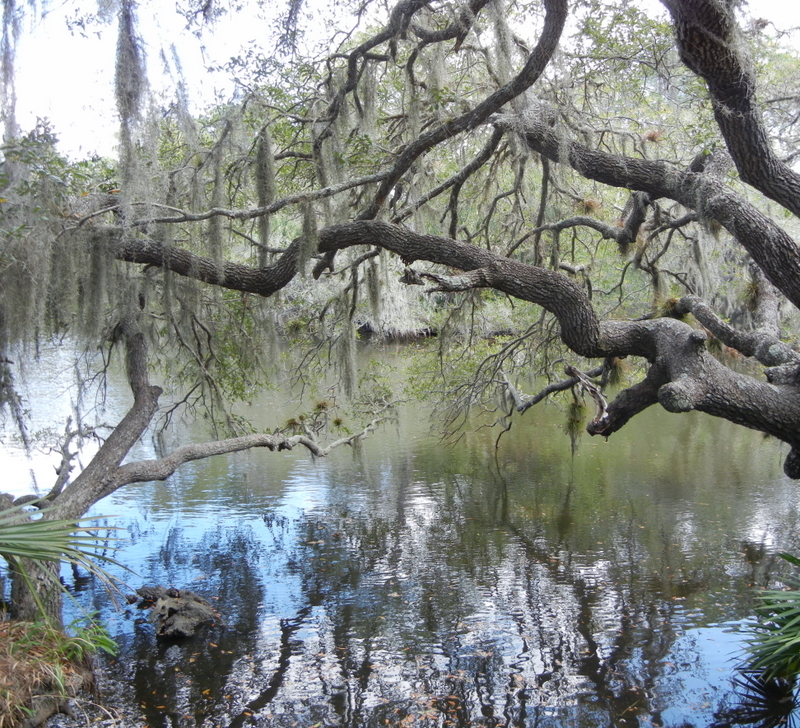 He must have done very well as he acquired 450 acres of flatwoods near Sarasota. The land was donated to the state by his daughter in 1955.